Many perceive Django Reinhardt as one of the greatest personalities of European Jazz. This gypsy guitar player deeply impressed and inspired the jazz scene with his improvisations on the guitar. In 1994, Belgian musician Koen De Cauter, asked Brosella why nobody in Brussels did anything with Django’s music. So Brosella initiated this event, the Djangofolllies, in memory of Django Reinhardt. To honour this exceptional musician, a series of concerts in the ‘Django tradition’ are programmed in different venues. The program of Djangofolllies is not limited to the traditional ‘Django style’ but also includes music which shines a new light on the genre and goes beyond the barriers of the ‘hot club’ music. At the festival we had musicians performing modern jazz, flamenco and also songs on the poems of Garcia Lorca were proposed. Please submit your suggestion for the DJANGOFOLLLIES 2014 (20th edition). Goog luck to all of you ! Dubai Jazz Festival® is back with Emirates Airline as the new title sponsor. Mark your calendar from the 14th till the 22nd of February 2013 for the 11th edition; an ultimate nine days packed with international acts from all music genres – with a cool hangout experience in a unique atmosphere at Festival Park, Dubai Festival City. With Deep Purple, 3 Doors Down, and One Republic playing at this year’s festival, fans will savor the presence of Grammy award-winning performers that have earned their respect throughout many years. The remaining headline acts will be as exciting and we invite all music lovers from across the GCC and the Middle East to come and witness this amazing musical showdown. The program also includes nights at the venue’s Jazz Garden®, where a wide array of well known Jazz and Blues performers are set to keep fans entertained. Jazz clubs in Massachusetts (USA): list on a great blog ! Let’s have a look out of Belgium :-). I have discovered a blog which presents a looooong list of the jazz clubs in Massachusetts, in America. You will also find the jazz venues, festivals and an event calendar. MassJazz is a concerted, statewide effort initiated in 2009 to promote a full range of live jazz performances, community events, educational courses and related cultural activities to the convention and visitors industry. Working with the state’s travel and tourism agencies, MassJazz is developing a singular program that brands Massachusetts as a jazz destination for domestic and international visitors. Its goal is to develop visitor packages with hotels, restaurants, performing arts venues and travel services to create an alluring new tourism campaign that stimulates the local economy. I’m sure that you know where to program your next holidays 🙂 ! When snow covers houses and parks and cold Siberian air goes under -12°C, it is winter in Belgium ! Time for a fantastic jazz festival 🙂 ! The 6th edition of the Winter Jazz festival is absolutely amazing !!! Among others : Sal La Rocca has built up a pedigree of jazz experience, both at home in Belgium and abroad, playing alongside Toots, Philip Catherine, Nathalie Loriers, Dani Klein and Anne Ducros. On the international jazz scene, Jef Neve has long been synonymous with virtuosity and charm. He has produced a CD with Jose James and made one of the most beautiful version of “Autumn in New York” I know. Discover all the other musicians and jazz bands on the program ! And, last but not least, you have the opportunity to listen to the world famous Brussels Philharmonic which won an Oscar for the soundtrack of the famous film “The Artist”. Blue Flamingo Jazz (Belgium) : 10×2 tickets to win !!! In collaboration with the Blue Flamingo Jazz Festival, I have the pleasure to give you the chance to win tickets for the coming dates ! This festival takes place in Brussels (Belgium) in the Castle Karreveld at 20 h.
Do you want to win ? Answer the following question and send an email to bestjazzclubs@hotmail.fr ! A Muse Boosting production ? A Muse Posting production ? A Music Boosting production ? 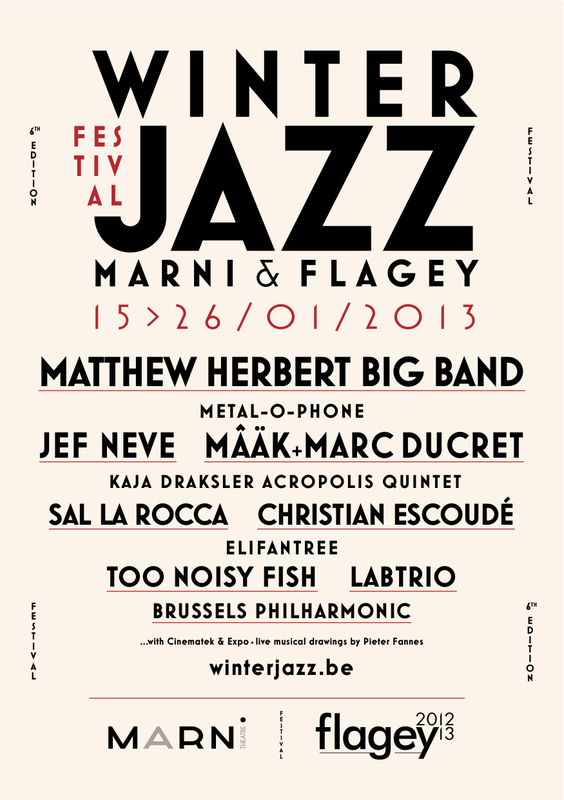 If you are in Brussels in the coming days, DO NOT MISS the Blue Flamingo Jazz festival ! It takes place 4 week-ends during the year in the beautiful castle “Karreveld”.